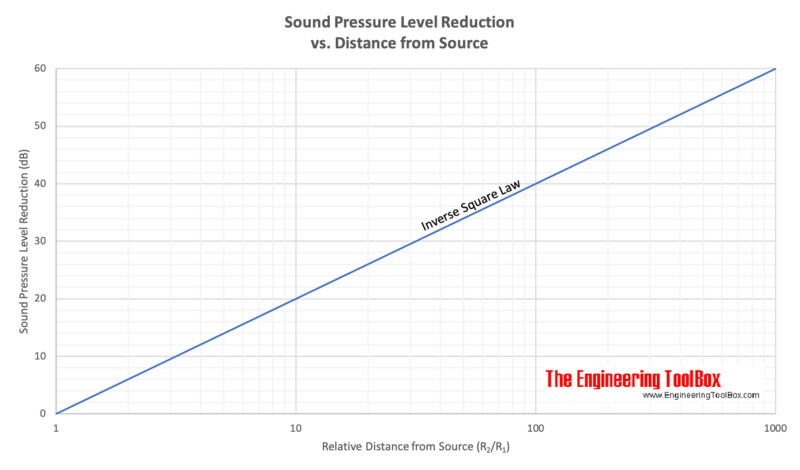 In a free field - a doubling of the distance from a noise source reduces the sound pressure level with 6 decibel. A "free field" is defined as a flat surface without obstructions. Use the calculator below to calculate the sound pressure level at distance. This noise level is only permitted for a limited amount of time and some action with partial barriers or enclosure of the machine should be done. Engineering ToolBox, (2005). Inverse Square Law. [online] Available at: https://www.engineeringtoolbox.com/inverse-square-law-d_890.html [Accessed Day Mo. Year].